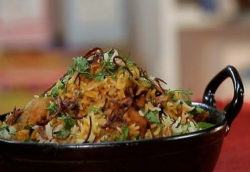 Goan Style Mushroom Soya Biryani recipe shared by Riddhima Nair from India Food Network. Biryani is also known as “biryani” or “beriani” is a set of rice based food which is spicy and delicious that people love to eat. 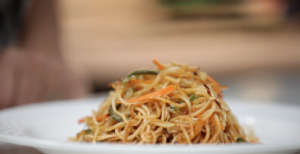 A spicy dish made with mushroom and soya that makes a healthy vegetarian dish. The rice which people usually use is basmati rice to prepare biryani with mixed vegetables. Every person has their own method of preparing biryani which goes good with salad and people usually prefer to eat this dish as dinner meal.